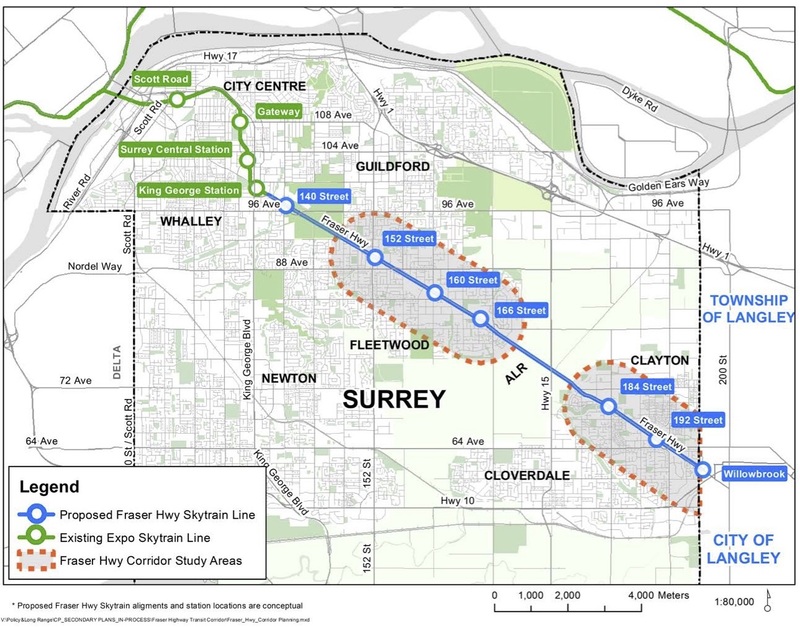 Posted on April 4, 2019 April 6, 2019 by UrbanSurreyPosted in Development, News, Planning, TransitTagged 104 Avenue, Fraser Hwy, King George Blvd, LRT, Rapid Transit, SkyTrain, Surrey Langley SkyTrain, TransLink. Build the Skytrain for SLS and LRT for SNG. Skytrain is good for regional travel and hopefully gets extended to Abbotsford in the future. LRT is good for in-city travel such as connecting various town centers such as the SNG. Hopefully LRT gets expanded along 152nd Avenue, 72nd Avenue, and 120 Street in the future.